From the legendary Academy Award nominated director Andrzej Wajda a leader of the unofficial Polish Film School, comes a natural companion to his previous landmark films Man Of Marble [Czlowiek z marmuru] (1977) and Man of Iron [Czlowiek z zelaza] (1981). Walesa: Man Of Hope [Walesa. Czlowiek z nadziei] is a depiction of the Nobel Peace Prize winner and founder of Poland's Solidarity movement Lech Walesa, focusing on the events in the 1970’s that led to the country's peaceful revolution. Lech is a well-known figure throughout Europe, as he is credited with sparking the domino collapse of Communism across Eastern Europe. Walesa: Man Of Hope has certainly found critical favour, being described by Peter Bradshaw in The Guardian as "A movie with terrific force and irresistible storytelling gusto – and a first-rate lead performance by Robert Wieckiewicz" and "Evocative and thought-provoking" by Geoffrey Macnab in The Independent. 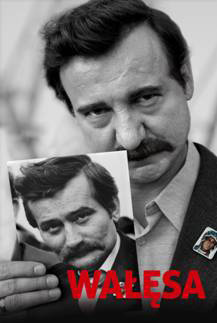 Walesa: Man of Hope will be released on UK DVD on 24th February 2013 by Metrodome Distribution at the RRP of £17.99. If there are any extra features, Metrodome keeping characteristically quiet about them.